This Tele-Macro Zoom lens is capable of focusing down to 1:2 (half life-size) reproduction ratio at 300mm focal length. It also has a switch for changeover to macro photography at focal lengths between 200mm and 300mm. The lens materials used in this product are lead and arsenic free ecological glass. Box Dimensions (LxWxH) 7.087 x 4.882 x 4.803"
70-300mm f/4-5.6 APO DG Macro Autofocus Lens for Pentax AF is rated 4.6 out of 5 by 40. Rated 5 out of 5 by Bob from Sigma lens quality just as advertised I am an amateur photographer and take my camera everywhere...vacations, camping, and hiking. 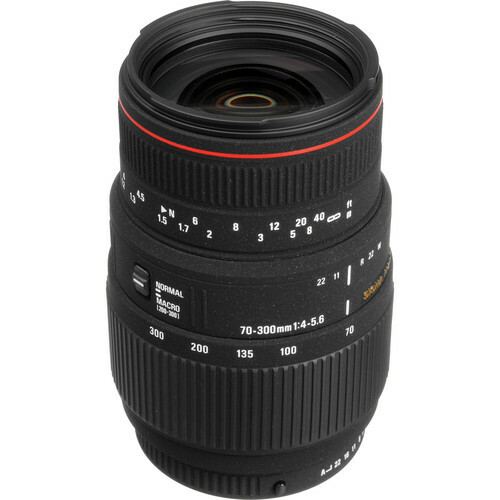 Before purchasing this lens I read many online reviews comparing its performance and ease of operation. So far it has operated flawlessly and performed as advertised. Beside the fact that it produces clear sharp images I love its light weight, especially when hiking or on long sightseeing walks. It attaches to my Pentax K mount smoothly and does not hang up...a problem that I read about with some other aftermarket brands. Rated 5 out of 5 by Anonymous from Great Lens Image quality was my only conceren when buying this lens. I compared 4 lenses head to head on my k5. I took the same picture with the same f-stop (f 11). pentax 55-200, pentax 55-300, sigma 18-250 and sigma 70-300 non apo. I whent back and took same pic with this 70-300 apo lens,this lens was the best. worst of the bunch was the pentax 55-200 next was the pentax 55-300 then the sigma 18-250 then the siga 70-300 non apo I did not purchase the non apo version I wanted the apo version. I order the apo 70-300 you can't beat the image quality anywhere near this price. Now that being said it could focus faster, sometimes hunts in low light, could be bigger f-stop wide open its a little slow. Would also nice if it was a little wider at the short end. Image quality is everything in my book i candeal with slow focus and raise my iso to get a faster shutter speed if needed. All in all a great lens best I could find that I could afford. Rated 3 out of 5 by Neal from Good for the money I use this to shoot basketball and swimming and find myself switching to manual about half the time. When it is in focus it's sharp, but it doesn't move as fast as my lost Pentax 55-200 and it doesn't let you fine-tune the focus manually as a Pentax would. However, when the subject falls within the depth of field I get crisp results. The aperture is a little slow for indoor basketball - I'm forced to shoot at ISO 3200. If you're willing to manually focus when shooting sports and can live without evening shots, you'll be very pleased with this lens. Rated 5 out of 5 by Anonymous from My favorite lens I purchased this Sigma lens several years ago after my Pentax DA 50-200 ED disappointed. I've used it on both my K100d and Kx with excellent results, although it feels better, and seems to take better pictures, with the larger, heavier and 6 mp K100d. It stays mounted on the K100d, and this is the camera I use around the farm, and for pictures of other peoples horses and mock macros. I keep a good point and shoot in the bag for instances when the 70mm is just too much lens. The combination is not that great for a walk-around, too heavy and too large, and for that I pick up the Kx and the 50-200. Forget landscapes, of course. Overall, an excellent lens. Rated 3 out of 5 by Steven E. from Ok, but less than I'd hoped for. Based upon other customer reviews I expected better image quality than is delivered by this lens. I bought it because of vignetting with my Pentax 55-300 on the full frame K-1. I still consider it a good lens for the money and won't be returning it, but I feel some of the other reviews overstated its IQ. I said Yes, I would recommend..., but I'd do it with reservations. Rated 4 out of 5 by Tombawest from Great Little Lens I'm using this lens as a casual alternative to my pro lenses and I'm pretty impressed. All the way out to 300 it's a little soft but generally edge sharpness and intermediate sharpness is really good. For $ you don't have to worry about ruining a $1000 lens if there is a mishap while shooting. I recommend this lens to photographers with all levels of expertise. Rated 5 out of 5 by Wild Man Willie from Love Sigma Lenses Got my lens ... and went right out and used it in the Ouachita Mountains photographing animals and natural features. The lens really gave me some great shots. I also got pics of my horses and my wife in a really candid situation. Telephoto worked great. The only thing I had a little trouble with was the macro but after fiddling with it I was able to figure it out with good results. I also had to get used to the 70mm start, you have to be a good ways out to get an entire object. Next I'll get a Sigma in the 50mm-100mm range. Would definitely recommend Sigma though. Rated 4 out of 5 by KannerObama from Great lens and value Bought this at the last minute so I would have a full size lens for my new K1 Pentax when I leave for my Canada trip. Very surprised by the quality of the pictures it took. Even at 300mm the sharpness was good. Took some Pelcan pictures it flight and most were keepers, great detail, color and sharpness. Would highly recommend it to others. Where is this made? What is the country of origin?Will this work with a Pentax K-50 DSLR? This is made in Japan and yes, it will work on the Pentax K-50. Will this work with a Pentax K-50 DSLR? Yes, this will be compatible with the Pentax K-50. Does it focus in the direction shown in these photos or is the model shown for a brand other than Pentax? Yes this lens focuses in the same direction for all of the versions Sigma has made from it. The only change is the lens mount at the rear of the lens, everything else is identical regardless of the mount attached to it (Pentax/Canon/Nikon/etc.). Where is this made? What is the country of origin? According to the information we have, our current inventory's Country of Origin is Japan. Please be aware this can change over the product's production life without notice. What is the difference between the Sigma 70-300mm f/4-5.6 APO DG Macro and the Sigma 70-300mm f/4-5.6 DG Macro? The only difference I see is weight. IS the APO a metal construction where the DG is a plastic construction? An apochromat, or apochromatic lens (apo), is a photographic or other lens that has better correction of chromatic and spherical aberration than the much more common achromat lenses the non-APO lens. is this lens compatible with pentax K3? i would think you would have no problem. i have a K-5II. Your K3 is the next model after that and quite similar. Will this lens fit my Pentax K-500 DSLR Camera? Yes, that lens is compatible with the Pentax K-500 DSLR camera. I use this lens on a Pentax K-500 and works very well. 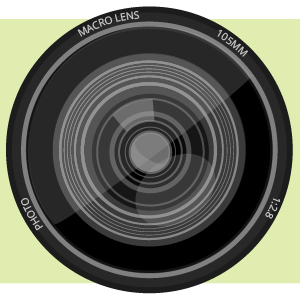 However, it has an Aperture Control Ring and the instructions do not explain its usage. Anybody can tell me how to use it? Applications? Thank you! For newer cameras such as your K-500, simply leave the Aperture setting to A , and control if through the camera body.